That’s the verdict from Auto Express magazine, which pitted the car against 10 of the best driver-focused models of 2012 against each other in its latest issue. The GT86 placed above the Porsche Boxster, Ford Focus ST, Suzuki Swift Sport, Audi RS4, Mercedes-Benz SL63 AMG, Lotus Exige S, Mini John Cooper Works Roadster and the Morgan Plus 8 in a test of handling on the road, performance, desirability and price as well as timed laps around the Anglesey race circuit. ‘Body control is superb, the brakes have plenty of bite and the manual gearbox slots happily from ratio to ratio, while the boxer engine relishes hard work,’ the magazine stated. 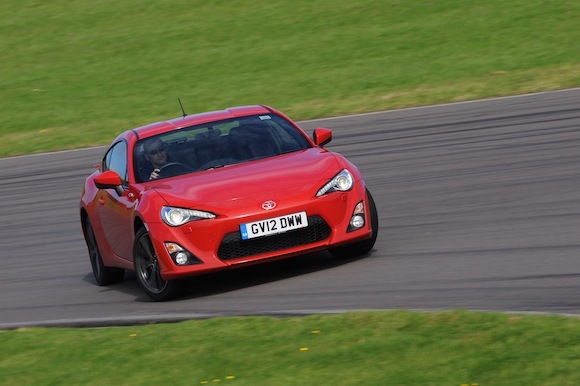 Senior road tester Owen Mildenhall added: ‘In an age when many performance cars filter your interaction with the road in the pursuit of meaningless lap time, the Toyota GT86 stands out. Drive on the limit, and you can feel the effect of every input from the steering, throttle and brake pedal. The GT86’s latest triumph comes only a week after it won Autocar magazine’s equivalent award, being named Britain’s Best Driver’s Car. Top Gear Magazine have also praised the car, it won the Speed Week grouptest. 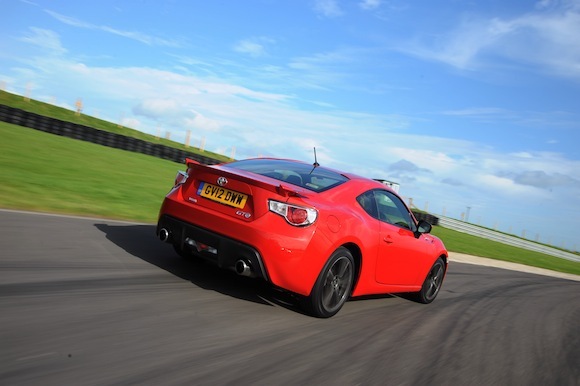 You can find out what other reviewers think about the GT86 on our reviews roundup page, and book a test drive here.